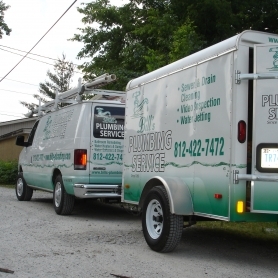 Bill’s Plumbing is a licensed, bonded, and insured, plumbing contracting company serving the Evansville and surrounding areas. We are accredited by the Better Business Bureau and members of the PHCC (Plumbing Heating and Cooling Contractors Assoc. If you have any questions or need additional information, please feel free to contact us by phone, or the quick contact form below. We’d love to hear from you! NOTE: No appointments will be set with the contact form. PLEASE CALL FOR APPOINTMENTS OR SERVICE.